Originally scheduled for January 8, the Perennial Sump release has officially been pushed back to Thursday, January 15 at 4pm. 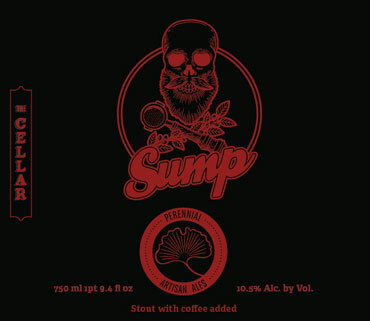 In case you’ve missed the boat in year’s past, this is the brewery’s delicious imperial stout blended with coffee from the folks at Sump, weighing in at 10.5% ABV. This entry was posted on January 8, 2015 by Nick. It was filed under Beery News and was tagged with Abraxas, Barrel Aged 17, Barrel-Aged Sump, bottle release, Coffee Abraxas, craft beer, imperial stout, Perennial Artisan Ales, Perennial Sump, STL, Sump coffee. I just had the fine opportunity to try this beer at Big Beers Festival in Vail this weekend. It’s a coffee imperial stout like NONE OTHER that I have tried in the past. Fantastic!